Ignore my cat. He refused to move. Don't you already have a llama? 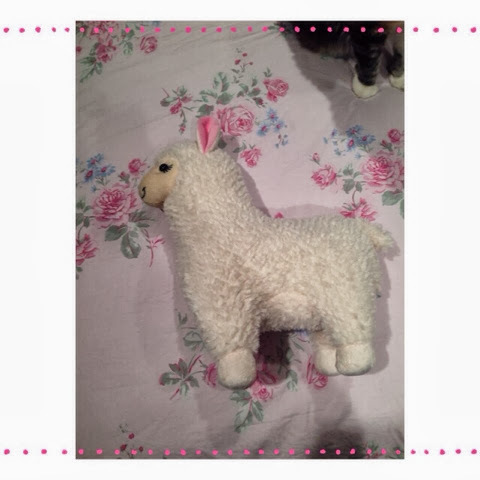 Did you really waste your money on a llama? Well the answer to all of those questions are yes. I already have a llama but this is 3x the size. And it is super soft. That was my logic behind buying this. Next, I got some brushes. 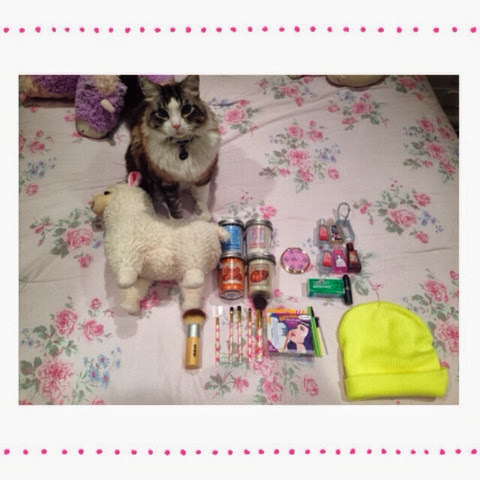 The one on the left is from Claire's. I don't ever shop there but I had a gift card. This brush was only $8! 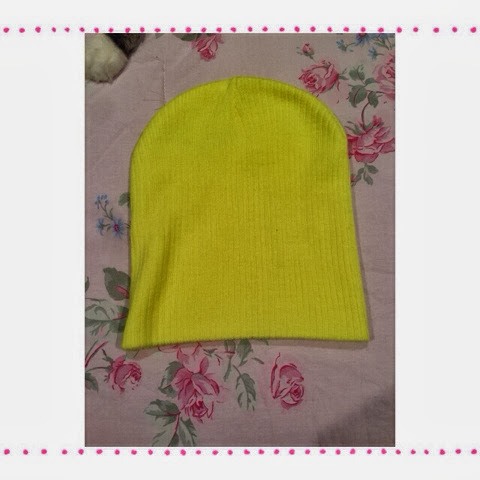 It is beyond soft and is surprisingly good quality. 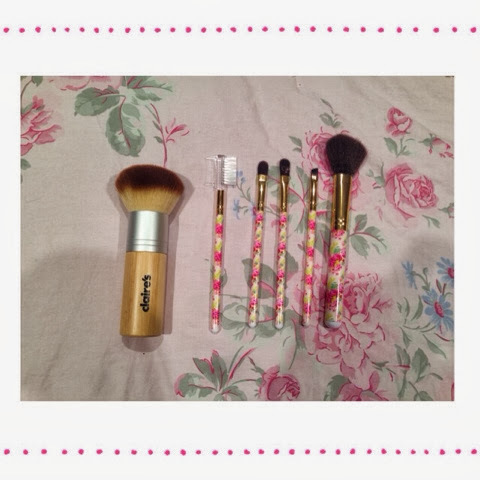 The brush set on the right is from Forever 21. They were $1.99 on sale which is pretty good for brushes. 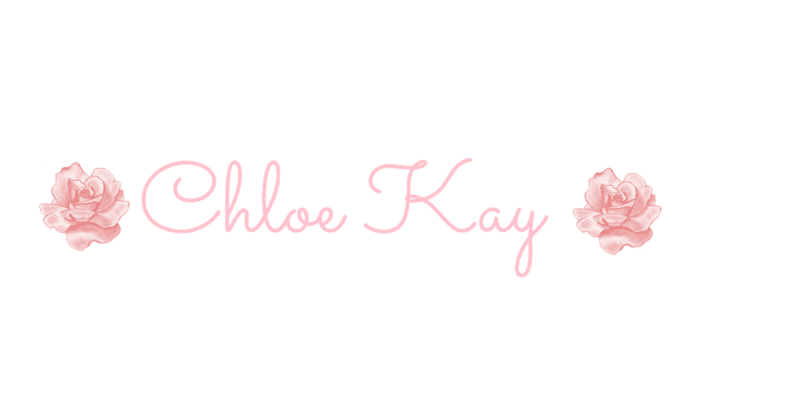 I have another brush set from them and I actually like it so I bought a new one. The old ones were getting trashed. So of course, I went to Bath and Bodyworks. 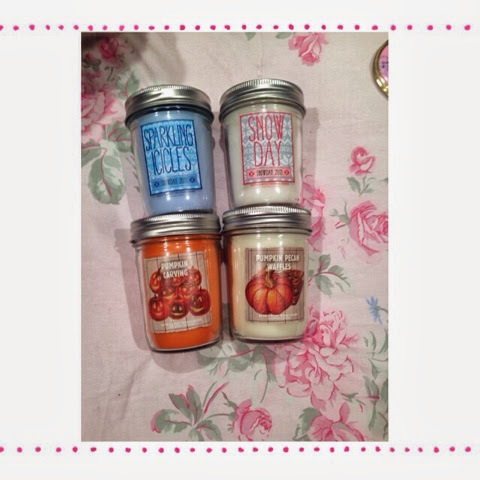 They were having a 2 for $15 sale on candles which is amazing! 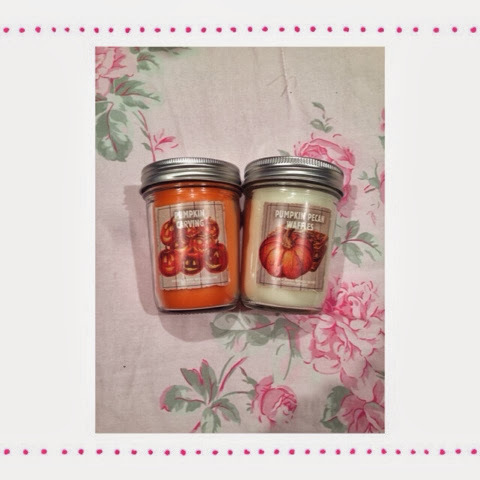 These first two candles are from their fall pumpkin collection. I got Pumkin Carving and Pumpkin Pecan Waffles. The Pumpkin Pecan Waffles smells so amazing. It is so sweet and sugary. I love it. Bath and Bodyworks finally came out with their winter collection. Not the holiday collections yet. (November 4th) Can't wait. 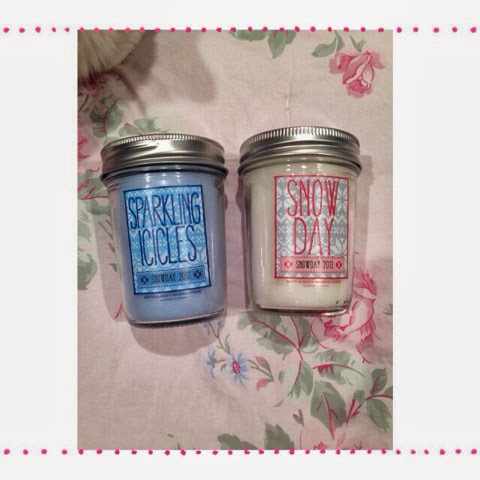 But from the winter collection, I got Sparkling Icicles and Snow Day. Sparkling Icicles smells very clean and fresh. Snow day is a peppermint with a hint of vanilla. They both smell fantastic. Everytime I go into Bath and Bodyworks, I have to buy hand sanitizer. I got Twisted Pepermint, Candycane and Vanilla Snowflake. I also got a holder because my old one broke. 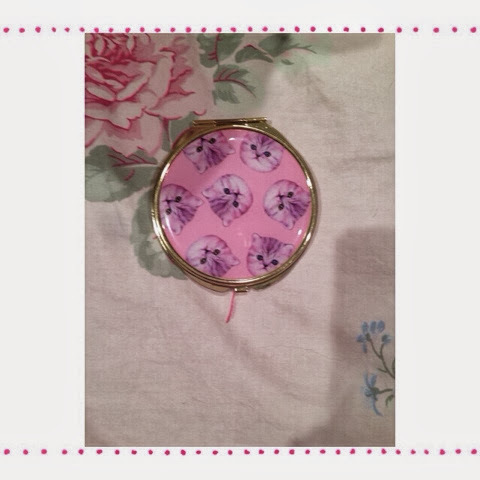 I got this adorable mirror from Forever 21. It has cats on it. Of course I had to buy it. Finally, I bought some Katy Perry lashes. They are so big and bold. I am defiantly using them for my Halloween costume. 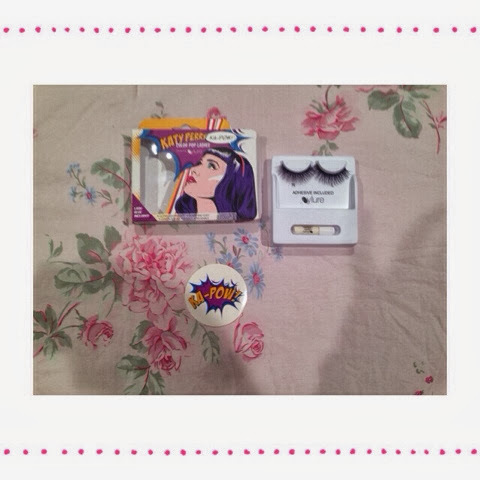 The packaging was so cute and the lashes had a hint of purple in them.